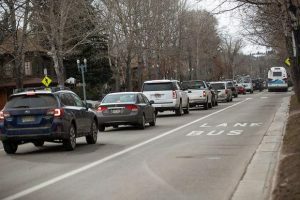 New limitations on house sizes in Aspen were narrowly approved by the City Council Monday after about 90 minutes of citizen comment – mostly in the form of criticism. The council voted 3-2 to approve an ordinance amending the city code to cut the allowable square footage of homes, with larger lots seeing the greatest reduction. The new rules cap the size of a single-family home on the largest lots at 5,000 square feet. The code for the first time establishes a limit on the volume of space within homes and will result in “a modest change” in home sizes, predicted planning consultant Alan Richman, hired to draft the new rules. Citizen complaints about monster homes on city lots that dwarf neighboring residences helped spur the legislation. Members of the packed crowd in the council’s chambers last night, though, were more concerned with the impact of the rules on their own properties than on what the ordinance might do to rein in construction next door. Many residents of the Cemetery Lane area urged the council to delay action until they have completed a master plan for their neighborhood. That planning effort is under way. Others said the community isn’t fully aware of what’s going on. Various other citizens accused the council of “micro-managing,” imposing onerous restrictions on property owners and hurting longtime locals who own the remaining smaller homes in town. “The barn door is being closed after the cows are out,” said Gene Hyder, a Midland Avenue homeowner. “If this is because we don’t like big homes, I’d suggest the genie is already out of the bottle,” agreed Fred Peirce, a Cemetery Lane resident. But not everyone objected to the attempt to clamp down on bulky homes. So was West End resident Roger Hunt. Mayor Rachel Richards and Councilmen Jim Markalunas and Terry Paulson voted to adopt the ordinance. Councilman Tom McCabe backed the concept, though he supported Councilman Tony Hershey’s call for a four-month delay and ultimately voted against its adoption. He suggested the community needs more time to digest the legislation. Richards pushed the council to adopt the ordinance now but remain open to modifying it, based on what comes out of the Cemetery Lane planning. A few more out-of-scale homes may pop up if the city holds off, she argued. “I don’t want to see the barn door open for another year, another construction season,” she said. As it is, the ordinance will not take effect for 120 days. Hershey argued most vehemently against passage of the ordinance and suggested those in the crowd remember the issue when council elections roll around in May. The ordinance proposes a sliding scale for home size, based on lot size. On a 3,000-square-foot lot, the 2,400-square-foot maximum floor area now allowed would not change. On a 60,000-square-foot lot, however, a 5,970- or 6,800-square-foot home is currently allowed, depending on the zone district. 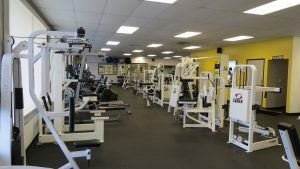 They would be reduced to 4,790 or 5,000 square feet, respectively. The volume controls – 27,000 cubic feet for a floor area of 3,000 square feet, for example – would reduce the bulk that results when homes use high ceilings to generate large living spaces that aren’t reflected by the floor area. Single-family lots of 6,000 square feet will see a reduction of 90 square feet, or 3 percent, while lots of 15,000 square feet in the R-15 zone will be reduced by 450 square feet, or 10 percent, according to a memo from Richman.